CURT Commercial Duty hitches are built, tested and finished to conquer any job. They are able to tow the largest of trailers, from deluxe RVs to full-size livestock haulers. 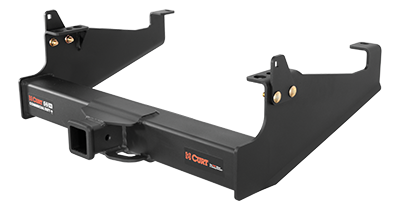 They also feature a 2-1/2" receiver to accept heavy-duty ball mounts and other accessories.